If your in sales one of the things we procrastinate on is calling on new prospects. Sometimes you’ll find anything to take up your time than to get on the phone during the week and make calls. Even if you do make calls during the week some are just trying to get through them. Its hard sometimes but if you really want to grow your income or your business it has to be done. 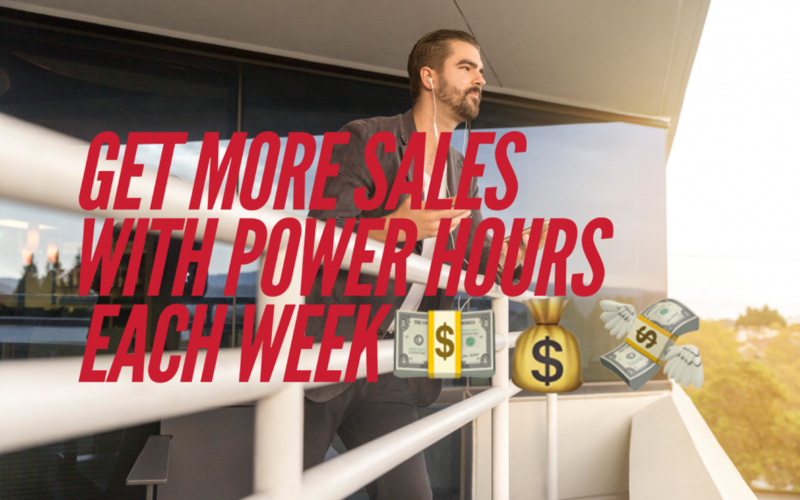 I find that having select days during the week where you call for one hour can can have a dramatic effect on setting more appointment which can lead to more sales. Be prepared for a Power Hour! Don’t find people to call during that Hour. You need to have your list ready and keep dialing those numbers. I also recommend having a script put together so your not stumbling on each call, even one for voice mails as well. Its not about getting through the calls as fast as you can, but rather having quality conversations with decision makers and leaving GREAT voicemails.